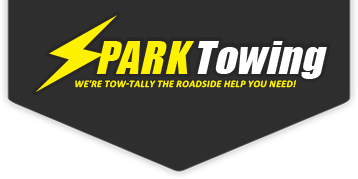 If you’re out and about on the road or always on the go while in San Diego, you’re going to want to know more about Spark Towing’s 24/7 quality and affordable car lockout services. Spark Towing aims to be San Diego’s most reliable towing company offering unmatched car lockout services 24 hours a day, 7 days a week, including all national holidays of the year. Ready to serve any car-owner in any point of interest across San Diego, one of our experienced tow truck drivers will rapidly reach a distressed caller and provide the right kind of assistance. What is a car lockout situation and how do you get out of it? A car lockout is pretty self-explanatory. For those who haven’t experienced it before—consider yourself lucky—it’s when you lock yourself out of your own vehicle either due to misplacing your car keys (or having them stolen) or forgetting that your vehicle has an automatic lock function and leaving your keys in the car. When something like this happens to you, we advise you to call us immediately and not try to break open your windows or forcefully try to open your car doors as this may damage the vehicle’s lock function. For quick, accessible, and affordable car lockout services wherever you are in the San Diego area, call us now! We can open any stuck car lock, window, or trunk, and we can also make key duplicates on the spot. Our tow truck drivers are well-trained, skilled in the lock & key art, and know the ins and outs of the local area. You can expect them to always arrive on time and provide essential assistance. Our phone line is open to those who have more questions, suggestions, or concerns about our services. We are also encouraging everyone who has ever contacted us for a service to give us a review or testimonial! We will feature the best ones on our page.